Traditional classrooms use a one-fit-for-all approach to learning. This approach, however, does not consider the individual strengths and learning styles of students, which can make it more challenging for some students to be academically successful. 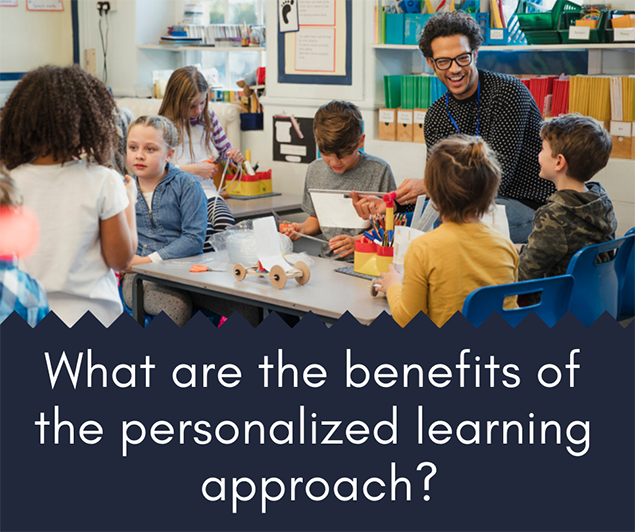 Personalized learning customizes learning processes for each individual student, equipping students with skills that can help them use their strengths to improve learning. Personalized learning approach has been defined as “tailoring learning for each student’s strengths, needs and interests – including enabling students voice and choice in what, how, when, and where they learn – to provide flexibility and mastery of the highest standards possible.” – International Association for K-12 Learning Online (iNACOL). Learning objectives: Students can collaborate with teachers to set goals and objectives based on their interests and preferences. Throughout the year, teachers can encourage students to prioritize and reflect on their process of goal attainment and make changes as required. Tasks: Teachers can allow students to choose their own activities with which to express their learning. For example, instead of writing a 500-word essay, students can choose to make a poster. By giving students this freedom, teachers can help them discover and strengthen their interests. Sequence: Teachers must allow for a certain degree of flexibility in the sequence of learning, adding challenges gradually. Teachers can also plan for out-of-classroom learning opportunities and use digital learning in classrooms. Pace of learning: Students can be allowed to advance through the learning process at their own pace. For example, some students might require more time to learn addition while others may quickly pick up the concept. When the pace of learning is customized, students become confident in their abilities and can gain mastery over concepts before proceeding to subsequent concepts. Differentiating instructions: Teachers can tailor instructions, adjust challenges and incorporate accommodations (including technology) based on individual requirements. Assessments: Teachers can create specific rubrics and criteria for evaluating both individual learning and group activities that students engage in. The information collected from these assessments helps teachers to further modify or personalize instruction and content. 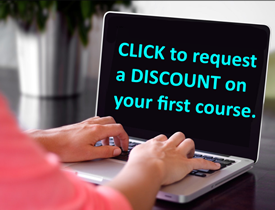 Create relevant and meaningful learning experiences for students using technology and online learning tools. Help motivate students and engage them in tasks that interest them. Encourage goal setting, active student participation, mastery of concepts, self-reflection and academic achievements. Enhance student responsibility and accountability towards learning as learning opportunities are created based on individual strengths, preferences and interests. Help students develop self-regulated learning strategies and behaviors and become self-reliant learners. Help students learn at their own pace, without fear of being left behind. Promote interactive and collaborative learning within classrooms. Use assessments to evaluate skills and direct learning towards goal attainment. By incorporating personalized learning in the classroom, teachers can create learning experiences for students that capitalize on their strengths, interests and preferences. This helps to equalize the learning opportunities for students and help each student attain their maximum learning potential and gain academic success. It also helps teachers reach all students and encourage self-reliance and self-motivation among students.